Cloud service providers who offer services to their users traditionally signal security of their offerings through certifications based on various certification schemes. Currently, a vast number of schemes and standards exists on one side (cloud service certifications), while another large set of security requirements stemming from internal needs or laws and regulations stand on the other side (users of cloud services). Determining whether a service with an arbitrary certificate in one country fulfills requirements imposed by the user in another country is a difficult task and therefore a project (EU-SEC) was started focusing on allowing cross-border usage of cloud services. 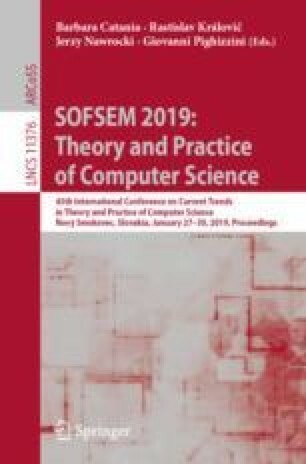 In this paper, we propose automated comparison of cloud service security certification schemes and, subsequently, security of cloud services certified using these schemes. In the presented method, we map requirements in schemes, standards, laws, and regulations into a proposed cloud service security ontology. Due to the free-form text nature of these items, we also describe a supporting method for semi-automated conversion of free text into this ontology using natural language processing. The requirements described in ontology format are then easily compared against each other. We also describe an implementation of a prototype system supporting the conversion and comparison with preliminary results on describing and comparing two well-known schemes. This work was partially supported by the project EU 731845 – EU-SEC.